Working life in Denmark - key characteristic of working life across a range of parameters. Based on the indicators shown in the table below, quality of life in Denmark is good, according to EQLS findings. All the indicators are better than the EU averages. However, both those for life satisfaction and happiness show some signs of negative development. Life satisfaction decreased from 8.5 in 2003 to 8.2 in 2016 (on a scale of 1–10). Happiness also decreased, from 8.4 in 2003 to 8.1 in 2016. Nonetheless, life satisfaction in Denmark is still highest among the EU28 countries (the respective EU average is 7.1). Self-reported health has improved in Denmark. In 2007, 29% of the respondents reported their health to be ‘very good’. In 2016, this share was 37%, compared with the EU28 average of 24%. Based on the three indicators below, work–life balance in Denmark is at a good level when compared to the other EU countries. Denmark also has the lowest share of people having ‘difficulties to fulfil family responsibilities because of work’ at least several times a month, standing at 24% in 2016 and lower than the EU average of 38%. However, the gender breakdowns for Denmark reveal that work–life balance related problems are more common among female respondents. For instance, 58% of women report being ‘too tired from work to do some of the household jobs which need to be done’ at least several times a month, which is higher than the respective share of men at 44%. Work–life balance problems have increased in Denmark during the observation period 2003–2016, following the trend also seen in many other EU countries. Despite the recent increases, work–life balance problems in Denmark are still less common than on average in the EU. Denmark has the lowest share of respondents in the EU28 reporting a lot of tensions between poor and rich people, standing at 6% in 2016 versus an EU average of 29%. Denmark also has the highest share of respondents feeling safe when walking alone after dark, at 63% in 2016 compared with the EU average of 35%. Looking at the other indicators shown in the table below, Denmark is doing relatively well in all the indicators on quality of society, in comparison to the EU28 averages. None of the indicators shown have experienced any notable decreases or increases in recent years. Respondents perceive the quality of public services as high in Denmark. All ratings are above the EU28 averages. The education system gets the highest rating, being 7.7 on average in 2016 (on a scale of 1–10). The respective EU28 average is 6.7. The lowest ranking public service in Denmark is the state pension system (6.0 in 2016). However, this is still well above the EU average of 5.0. The perceived quality of public services has remained fairly stable in the recent years of observation. This profile describes the key characteristics of working life in Denmark. It aims to complement other EurWORK research by providing the relevant background information on the structures, institutions and relevant regulations regarding working life. This includes indicators, data and regulatory systems on the following aspects: actors and institutions, collective and individual employment relations, health and well-being, pay, working time, skills and training, and equality and non-discrimination at work. The profiles are updated annually. Working life for Danes in 2018 was mostly ‘business as usual’. Nobody had to face radical structural changes in their everyday working life nor in the institutions surrounding it. The model for regulating working conditions and labour market issues remained firmly established and no major changes occurred in this area – for instance, in wage setting, the resolution of labour conflicts, working time and work organisation as well as the working environment. The only event that significantly influenced working life in 2018 was the renewal of the collective agreement in the public sector. The negotiations were particularly tough and came to a stalemate. They could have ended in a conflict over issues such as primary school teachers’ working time, which would have had a considerable effect on the life of dual-working families with children. This was the third time in a row that collective bargaining in the public sector had descended into tough and protracted negotiations. According to experts, these difficulties stemmed partly from the introduction of a ‘new public management’ and partly from the fact that the state employer had two inseparable roles in the negotiations, being itself an employer but also responsible for setting the state budget. Employers cannot negotiate wages beyond what is laid down in the framework of the budget. This provoked heated discussions, resulting in the decision that during the next agreement period of three years, the social partners in the public sector would try to work out some kind of arms-length principle for the state. Another factor exerting a degree of influence on the working life of many Danes was the finally agreed merger of the two largest union confederations, the Danish Confederation of Trade Unions (LO) and the Confederation of Professionals in Denmark (FTF), into FH, the Danish Trade Union Confederation. For members, this meant that 1.4 million blue-collar and white-collar workers would now be under the same umbrella confederation. 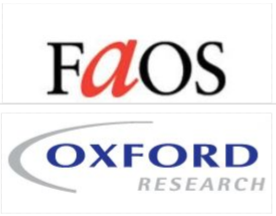 The new organisation, awaited with a certain amount of excitement, started its activities on 1 January 2019 and was expected to be followed with close scrutiny by its joint members and, of course, by the media. There were no major changes or developments regarding the working environment, working conditions and employment policy. One exception was the appointment of a think tank, headed by a former LO president, with a mandate to formulate a recommendation for a ‘longer and good senior working life’. Between 2012 and 2017, GDP increased 5.2%, against the EU average of 7.4% for the same period. During this time, the unemployment rate decreased by 1.8%; the biggest decrease was in youth unemployment (-3.1%), which stood at 11.0% in 2017, below the EU average for the same year (16.8%). Employment rates for all categories were above EU averages in 2017. There is no Labour Code in Denmark. Freedom of membership of an association – both the positive and the negative right – is expressed in the Act on the freedom of association in the labour market. The law was amended in 2006, abolishing the right to closed shop agreements. Legislation is minimal regarding the regulation of the Danish labour market. Central labour market issues – such as wages, working hours, working conditions or the right to strike – are regulated by agreements between employer and employees. However, an important act concerning regulation is the Consolidation Act 81 of 3 February 2009 on the Legal Relationship between Employers and Salaried Employees ( Funktionærloven). This act – also known as the White-Collar Act – regulates working conditions for salaried employees. The role of the Danish labour inspectorate, the Danish Working Environment Authority (Arbejdstilsynet), is mainly of an administrative and monitoring nature. The Danish Working Environment Authority is an agency under the auspices of the Ministry of Employment. It is the authority contributing to the creation of safe and sound working conditions at Danish workplaces. The Danish Working Environment Act is a framework Act which lays down the general objectives and requirements in relation to the working environment. The Act aims to prevent accidents and diseases at the workplace and to protect children and young persons on the labour market through special rules. The Danish IR system goes back to the conclusion of the ‘September Compromise’ in 1899 and the introduction of collective labour law institutions in 1910. The principal level for collective bargaining in Denmark is the sectoral level. Negotiations in the industrial sector generally set the trend for the other negotiations at this level. This gives the trade union federation, the Central Organisation of Industrial Employees ( Centralorganisationen af Industriansatte, CO-Industri) and the largest employer organisation, the Confederation of Danish Industry (DI) an important role in the Danish industrial relations system. In recent decades, the industrial relations system has had a significant tendency towards decentralisation of the collective bargaining system including wage bargaining. Wage negotiations follow two trends. In the flexible minimum-wage system the agreement concluded at sector level is further negotiated at company level. Thus, the actual wage is settled at company level. In the normal wage system, wages are only negotiated and settled at sectoral level. The normal wage system only covers 15% of the labour market and is mainly concentrated in the transport sector. The rest is covered by flexible wage systems as the minimum-wage system and the price-list system. Trade unions, employers’ organisations and public institutions play a key role in the governance of the employment relationship, working conditions and industrial relations structures. They are interlocking parts in a multilevel system of governance that includes the European, national, sectoral, regional (provincial or local) and company levels. This section looks into the main actors and institutions and their role in Denmark. In Denmark, the government and its ministries are as a rule not involved in regulating industrial relations and working conditions. Regarding decision-making, the government is mostly involved in formulating the employment policy. The exception is regulating and monitoring the working environment (occupational health and safety), which is the province of the Ministry of Employment and its agency, the Danish Working Environment Authority. The agency contributes to the creation of safe and sound working conditions at the Danish workplaces by carrying out inspections of companies, drawing up rules on health and safety at work and providing information on health and safety at work. The main institutions and mechanisms ensuring the enforcement of employee’s rights (the labour courts) are regulated by the social partners. The focus is on out-of-court mechanisms supplemented with a Labour Court with representatives from the social partners, state-employed judges from the Supreme Court and arbitration courts supervised by the social partners. In case of a breakdown in efforts to renew an existing collective agreement, the Public Conciliator has a right to intervene on behalf of the state. There are three employer organisations in the public sector covering collective bargaining in the state, local government and regional government. The Agency for the Modernisation of Public Administration ( Moderniseringsstyrelsen) negotiates in the central state sector on behalf of the Ministry of Finance. Local Government Denmark ( KL) is the employer association for the 98 municipalities and Danish Regions (Danske Regioner) for the five regions in Denmark. The most important concept of representativeness in Denmark is mutual recognition between the social partner organisations. The system of social dialogue is based on voluntarism and is only encompassed by very little legislation. Recognition is in principal established the moment two organisations conclude a collective agreement. Within the organisations the leaders are chosen by the members. There is no legislation connected to the concept of representativeness. Freedom of membership of an association – both the positive and the negative right – is expressed in the ‘Act on the freedom of association in the labour market’ from 1982. The law was amended in 2006, abolishing the right to closed shop agreements. 2014). However, the density has been steadily falling since 1996 when it was around 75%. The decline has mostly taken place among the unions of skilled and unskilled workers and clerical and commercial employees. Those are the unions under the umbrella of the Danish Confederation of Trade Unions, LO. There are three trends explaining the decline in the membership in LO-unions. Firstly the members, including potential members, are ‘educating themselves’ into a union of a different confederation based on members with longer education. Secondly, there has always been a tendency for the young and foreign workers not to join the unions and thirdly, but not least, there is competition from the low-fee, so-called ‘yellow unions’ (politically alternative unions in relation to the traditional unions). They are not representative and they are based on low membership fees and individual judicial support. However, unions such as the Christian Union have increased membership steadily during the last 10 years. There have been no changes in the structure of the trade unions regarding mergers or changes in representativeness. However, the two biggest employee confederations, LO and FTF, have intensified their cooperation during the last three years with the aim of a possible merger within the coming years. LO will elect a new president later in 2015 and the candidates have expressed their views about a possible merger with FTF. It is voluntary to join an employer association. Membership includes agreement that the employer organisation concludes binding collective agreements on behalf of the member. The level of employers’ organisation density has been more or less stable over the past 10 years – around 74% measured by the number of employees covered by the member companies (DA). There are two private sector confederations and three employer organisations in the public sector. The largest employer organisation is DI, which covers one million employees, including employees abroad. In Denmark, tripartite consultations normally take place on an ad hoc basis. The general process is that the government invites the main social partner organisations to discuss labour market issues or issues that have an effect on employment, such as employment policy. The degree of involvement of the social partners is in general high regardless of the government in office. and a tripartite agreement on reducing sickness absence. All of these initiatives are aimed at the private sector and were formed in the period 2004–2008. Furthermore, a Tripartite Committee for Quality Reform in the Public Sector was set up in 2007. That committee is responsible for promoting the development of competencies in the public sector. In addition, the government established the Family and Working Life Commission in the autumn of 2005, as a response to an intense public debate on workers’ difficulties in trying to reconcile work and family life. Although the social partners were not direct members of the commission, they secured involvement in the Commission, which issued a report in 2007. In 2012 the newly elected government (Autumn 2011) led by the Social Democrats invited the social partners to a tripartite dialogue on working time and welfare issues but they were cancelled by the government. Trade union representatives from Danish Metal insisted they would not accept any attempt to extend working time, such as abolishing two public holidays as suggested by the government. The Minister of Finance then chose to cancel the negotiations. The bodies mentioned below are permanent tripartite/bipartite bodies that are either set up by legislation or collective agreement, and mostly concern employment, training and work environment. The main channels of employee representation at workplace level are the shop stewards and the Cooperation Committee – in the public sector, the latter is referred to as the Co-determination Committee (MED-udvalg). These committees consist of an equal number of representatives of employees and management. The employee representatives are elected, as is the shop steward. The work environment committee, along with board member representatives, are other important channels for employee representation at workplace. In the public sector, the Co-determination Committees incorporate the work environment; hence, it is a one-tier system opposed to a two-tier system with cooperation committees and health and safety committees (which since 2012 have been called work environment committees where they exist in the private sector). The co-influence and co-determination system is based on a framework agreement – the so-called MED-agreement. The president of the Co-determination Committees in the public sector is usually the director of the municipality or county, while the vice-president is the joint shop steward. Workplace representation is codified by collective agreement. Not involved in collective bargaining at workplace, for instance about wages. Combined employee and trade union representative at workplace. Combined committee of the employee and work environment representatives. The central concern of employment relations is the collective governance of work and employment. This section looks into collective bargaining in Denmark. In Denmark, all important issues relating to the employment relation, such as wage, working conditions, training and pension are regulated by the social partners through recurring collective bargaining. Most important levels are sector and company level that interact according to a centralised decentralisation system. Collective agreements are binding. Includes employees from both public and private sector. The only important levels of collective bargaining regarding wage and working time are the sectoral and the company levels interlinked in a centralised decentralisation system. In 15% of the private sector, the sector level is the most dominant. The interlinkage between the central (i.e. sectoral) level and local/company level is determined by the wage system in the sector. In the so-called minimum wage area (which covers 85%), only the minimum wage increase is settled at central level, while the actual wage increases are negotiated at company level. Thus, the minimum wage settled in the sectoral agreements hardly ever reflects the real wage level in the companies. Wages, however, can also change depending on the sector or the market situation of the company. The remaining 15% of the labour market is covered by a normal wage system, where all important issues like wages are only settled at central level. The normal wage system is above all associated with the transport sector. In the public sector, bargaining mostly takes place at central level between the public authorities and large bargaining coalitions of the public sector unions, and only a small part of the agreements are left to be settled at organisational level between the authorities and the unions. Thus, the pay negotiations are closer to the normal wage system than the minimum-wage system. Collective bargaining in the private and the public sectors takes place in the first quarter, beginning in January. Following the conclusion of an agreement in the private sector, negotiations begin in the companies. The validity of a collective agreement has always been between two to four years depending on the economic perspectives. The main mechanism is vertical coordination, in Denmark centralised decentralisation with the central or sectoral level as the central point. The Industrial Agreement in manufacturing is pace-setting regarding the expected level of wage increases (if any) and the rest of the labour market follows the concluded agreement on this issue. Furthermore, there is a certain coordination between the higher level trade unions/employer organisations and the lower level about what would be realistic wage expectations to present at the bargaining agenda. There are no extension mechanisms in Denmark regarding collective agreements. In the pace-setting sectoral collective agreement in Denmark, the Industry Agreement covering manufacturing industry, there is a provision of deviation from the sector agreement regarding working time and further training at company level. Deviation requires equal support from both parties. The possibility to agree locally about working time is widespread. Otherwise there are no derogation mechanisms in Danish collective agreements. In Denmark, the main purpose for terminating an expiring agreement is to negotiate a new one. In practice it is necessary to terminate an agreement according to a provision in the main agreements between the social partners, even if the purpose is to re-negotiate the former agreement. Otherwise the parties would not be released from the peace obligation of the former agreement, and would not be able to support new demands for change by threats of industrial action. Employees in Denmark are bound by peace duty and it is illegal to go on strike for the duration of the collective agreement. However, if industrial action is nevertheless initiated and it reaches the Labour Court stage, they will be liable to pay fines. In Denmark, all aspects of working life are subject to collective bargaining. Besides wage and working time, training, life-long learning, further training, paternity leave, education leave, options of free-time, leave during sickness, a child’s first sick day, senior days, stress, and harassment are parts of the bargaining agenda. In the last two decades subjects that used to be regulated by legislation have also appeared in the collective agreement, including leave, stress and harassment. A ‘conflict of rights’ arises where the matter in dispute is already covered by a collective agreement. In the event of a conflict of rights, there is generally no right to resort to industrial action or a lockout. Once enacted, Danish labour law prescribes a peace obligation while the collective agreement is in force. If the case concerns a breach of the collective agreement, it must be referred to the Labour Court (Arbejdsretten). On the other hand, if there is disagreement concerning the interpretation of the agreement, the dispute must be settled by the industrial arbitration tribunal (Faglige voldgiftsretter). The legal basis for conflict resolution is the Standard Rules for Handling Industrial Disputes from 1910 (the Danish abbreviation is Normen). A ‘conflict of interests’ occurs in periods and areas when and where there is no collective agreement in force – in these instances, industrial action, such as strikes, lockouts or blockades can be taken provided that there is a reasonable degree of proportionality between the goal to be obtained and the means used to obtain it. This freedom applies both to the workers and the employers. Conflicts of interests may occur in connection with the renewal of a collective agreement. In this case, an attempt at mediation is made by the public conciliator (Forligsmanden) in order to avoid further conflict, such as a general strike. In addition, conflicts of interests may arise between trade unions and employers not covered by a collective agreement. During the period when a collective agreement is in force, conflicts of interests could also arise if, for instance, new technology at the workplace creates new work not covered by the existing collective agreement. On both occasions, the trade unions can take industrial action against the employer in order to obtain a collective agreement. The collective labour law deals primarily with conflicts of rights. Conflicts of interests are mainly of a political–economic nature. Danish collective dispute resolution mechanisms consist of a number of out-of-court resolution mechanisms (different meetings between the involved parties and organisations) combined with the labour court system consisting of the Industrial Arbitration Tribunals and the Labour Court. First the parties at workplace and secondly the social partners have an obligation to resolve the conflict before it goes to court. This happens through meetings between the parties. If the case concerns a breach of the collective agreement, it must in the end be referred to the Labour Court (Arbejdsretten). On the other hand, if there is disagreement concerning the interpretation of the agreement, the dispute must be settled by industrial arbitration tribunals. The main individual dispute resolution mechanism is the civil court. Only collective disputes are taken up by the labour court system. Thus, in case the union of the complainant, if any union involved does not want to take the case, the only possibility for the individual is to take the case to the civil court. There is no information available in any kind of statistics about how often alternative dispute resolutions are used. The labour market organisations are not counting them or otherwise reporting them to a common body or higher authority. Individual employment relations are the relationship between the individual worker and their employer. This relationship is shaped by legal regulation and by the outcomes of social partner negotiations over the terms and conditions governing the employment relationship . This section looks into the start and termination of the employment relationship and entitlements and obligations in Denmark. When employing a new employee for longer than a month with an average weekly working time of more than eight hours, it is obligatory to draw up an employment contract. The employment contract has to be issued within four weeks of the start of the employment relationship. These conditions are set out in the pace-setting Industrial Agreement. As a rule, children under 13 are not allowed to do paid work. Compensation might be given in connection with cultural activities. Applications to pay someone under the age of 13 are sent to the police. Rules concerning work for 13–15 year olds and below 13 are administered by the Danish Working Environment Authority. It is the employer’s right according to the managerial prerogative to dismiss employees if necessary in connection with the organisation of work in the company. Disputes about allegedly unfair individual dismissals can be taken by the unions to the Dismissals Board, which is a board set up by the social partners in line with collective agreement provisions. Individuals who are not members of agreement-signing unions can appeal their dismissal in the Civil Courts. Dismissals and termination procedures are laid down in legislation as well as in collective agreements. Termination procedures mainly deal with the notice period and, for some, collective agreements on severance pay. The main act covering dismissals of salaried employees is the Act on the legal relationship between the employers and salaried employees ( Funktionærloven - Consolidation Act no. 81 of 3 February 2009). The main act covering collective dismissals is the Act on the notification in case of collective redundancies (Consolidation Act no. 291 of 22 March 2010). The notice periods laid down in the collective agreements are in general short. Provisions on parental, maternity and paternity leave are laid down in collective agreements as well as in legislation for those not covered by a collective agreement. Basically, the employees on leave in relation to a birth receive full pay for the agreed period of the leave. The uptake of paternity leave has been growing the last decade. According to the pace-setting collective agreement, the Industry Agreement, women with nine month’s seniority in the job have the right to maternity leave with full pay from four weeks before the expected day of giving birth and up to 14 weeks afterwards. Fathers have the right to two weeks’ paid leave after the birth. The employer. It is a precondition for the paid maternity/paternity leave that the employer receives compensation from the state equivalent to the maximum unemployment benefit. After the 14 weeks, the employer pays a further 11 weeks’ leave, with both parents having the right to four weeks each. The remaining three weeks’ leave can be taken by either the mother or the father. The part of the 11 weeks’ leave granted to each of the parents cannot be traded between them and if not taken the payment is cancelled. The father has the right, but not the duty, to take two weeks’ paternity leave in connection with the birth. After the first 14 weeks, the father has the right to four additional weeks – and the possibility to take another three weeks. The Act on Maternity Leave (Consolidation Act no 872 of 29-04-2015) – Barselsloven covering those not covered by collective agreement – the rules are the same for the first 4+14 weeks. The parents receive a maternity leave benefit during the period. The maximum is €530 a week. After the 14 weeks, both parents can obtain a further 32 weeks of leave, or 64 weeks together. However, it is only for half of the 64 weeks that the parent receives maternity leave benefit. The act requires that the mother or father receiving benefit has been working for the last 13 weeks before the child’s birth. According to the pace-setting collective agreement, the Industry Agreement, five weeks sick leave with full pay is granted to employees with six months of seniority in a company. After five weeks of sickness the employer pays another four weeks sick leave. Most agreements follow a similar practice. The Act on Sickness Benefit (Consolidation Act no 871 of 28 June 2013 – Sygedagpengeloven) concerns those not covered by collective agreement, including the self-employed. The employer pays the first 30 days of leave, and then the municipality takes over the responsibility for sick pay in relation to the act. 67 over a period of three years. For those born before the second half of 1953, the pension age is still 65. For those born after this time the pension age increases by six months every six months. So for those born in the first half of 1954, the pension age is 66; for those born in the second half of 1954, it is 66½; for those born after this, the retirement age is 67. A further increase is foreseen after 2015 based on the life expectancy of men and women. It has not been finally decided yet (2017). The voluntary early retirement age is about to be phased out. Currently it is still 60 years for those born before the second half of 1953. Then it is rises incrementally for those born after this, reaching age 64 for those born in the second half of 1959. Pay: For workers, the reward for work and main source of income; for employers, a cost of production and focus of bargaining and legislation. This section looks into minimum wage setting in Denmark and guides the reader to further material on collective wage bargaining. Source: StatBank Denmark, SLON40 (2011) and LON40 (2016). In Denmark, the minimum wage is set by collective agreement at sector level. There is no statutory national minimum wage, nor is a single national minimum wage set by collective agreement. Thus, minimum wages are only determined by the social partners at individual sector level. Working time: ‘Any period during which the worker is working, at the employer’s disposal and carrying out his activities or duties, in accordance with national laws and/or practice’ (Directive 2003/88/EC). This section briefly summarises regulation and issues regarding working time, overtime, part-time work as well as working time flexibility in Denmark. Working time is mainly regulated by collective bargaining. The exception is the Holiday Act (Ferieloven) that secures all employees five weeks of annual leave, and the minimum resting hours (11 hours) guaranteed in the Act on the working environment ( Arbejdsmiljøloven), The most important level regarding regulation of working time in the collective agreements is the sectoral level. One significant exception is the Industrial Agreement. A paragraph in the agreement allows the company level to deviate from the sector agreement and decide their own working hours provided that both parties at company level agree. Thus, the company level is the most important level under the Industrial Agreement. Overtime is regulated by collective agreements. Working overtime means to work more than the single weekly agreed working time due to some degree of force majeure. Overtime is either paid according to the time of the day for the extra work, or it can be taken as time off in lieu. The latter prevails in the public sector, where paid overtime is rare. Agreed flexible working time cannot exceed 48 hours as stipulated in the Working Time Directive. No opt-out option is included. Part-time work is regulated by both collective agreement and by supplementary legislation building on the part- time work Directive in areas where there is no collective agreement. Part-time working hours can also be agreed individually between employer and employee. Since 2011, part-time work has constituted an average of around 21% of total employment each year. The crisis did not result in significant changes in this pattern. Put in an EU-wide perspective, part-time work in Denmark is generally higher than average. In 2016, the share of total employment on part-time in Denmark stood at 22.3% while the EU average was 18.9%. Part-time work is regulated by both collective agreement and by supplementary legislation building on the part-time work Directive in areas where there is no collective agreement. Part-time working hours can also be agreed individually between the employer and employee. Since 2012, part-time work has constituted an average of around 21% of total employment each year. The crisis did not result in significant changes in this pattern. Put in an EU-wide perspective, part-time work in Denmark is generally higher than the EU average. In 2017, the share of total employment on part-time in Denmark stood at 21.5% while the EU average was 18.7%. The European Working Time is implemented in the Industrial Agreement (Organisation agreement about implementing the EU Working Time Directive). The definition of night work is a period of seven hours and must encompass the period between midnight and 05.00. If no local agreement is concluded, the night period is from 22.00 to 05.00. (Industrial Agreement). A nightworker is an employee that works three hours of the daily working time in the nighttime period. (Industrial Agreement). Shift work is work according to a work schedule for working in teams, whereby employees take over from each other at the same job function in a rotating pattern, and where each employee usually works at different times in three shifts over a given period of days or weeks (Industrial Agreement). Weekend work is organised in a pre-agreed work plan including one or more teams. The work plan must specify which days are not worked The working week is 24 hours, usually placed on Saturdays and Sundays by 12 hours each day. Weekend workers may not have other paid employment (Industrial Agreement). The rest period is the period that is not working time. Rest and break periods of different length follow the prevailing rules in the Act of the Working Environment of 23 May 2002. Planning of daily breaks may be agreed at company level. No break can be of less than 10 minutes (Industrial Agreement). Working time flexibility, understood as ‘flexi time’, is regulated by collective agreement or in individual contracts. Flexible working hours are normally to be placed within the times of 06.00 to 18.00, but can also be agreed for shifts. In the figure, we see a comparison between Denmark and European Union for the workers with 'Age : All' when asked 'Do you have fixed starting and finishing times in your work?'. For the 'No' answer, Denmark's score is higher than the European Union score. For the 'Yes' answer, Denmark's score is lower than the European Union score. Data is based on question 39d from the sixth "European Working Conditions Survey (2015)The National comparisons visualisation presents a comparative overview for the values of all answers between two selected countries. Maintaining health and well-being should be a high priority for workers and employers alike. Health is an asset closely associated with a person’s quality of life and longevity, as well as their ability to work. A healthy economy depends on a healthy workforce: organisations can experience loss of productivity through the ill-health of their workers. This section looks into psychosocial risks and health and safety in Denmark. The regulation of health and safety and the working environment is mostly done by legislation – in this case the Act on the Working Environment (Consolidation Act no 268 of 18 March 2005 – Arbejdsmiljøloven). The main areas of the legislation are performance of the work, the design of the workplace, technical equipment, substances and materials, rest periods and young persons under the age of 18. It is the responsibility of the employer to ensure that the working conditions are safe and sound in any way as emphasised in The Working Environment Act. Since 2011, there has been a decline in the number of accidents, particularly from 2014–2015 where the number of accidents fell by 7.9% to a total number of 29,426 accidents. Figures from the national statistical office show that the total number of accidents (including accidents with less than four days’ absence) in 2016 was 42,043. The Act on the Working Environment (Consolidation Act no 268 of 18 March 2005 – Arbejdsmiljøloven) includes psychosocial as well as physical health and well-being. All workplaces must have a workplace assessment (APV) and in contrast to the shop steward who is elected on a voluntary basis, a working environment representative elected among the employees is obligatory in companies with more than 10 employees. The social partners and the government also finance the Sectoral Working Environment Committee’s (BFA)) activities targeting the working environment in five sectors covering the labour market. The Committee does not regulate, but gives advice and guidance to ensure health and well-being at work. There was a peak in work intensity in 2005. In 2000 and 2010 the level was around 59–60%. A reasonable explanation for the decline in work intensity was the financial crisis. Long working hours is an issue for almost half of the labour force. There has been an increase in long working hours between 2000 and 2010. In the figure, we see a comparison between Denmark and European Union for the workers with 'Age : All' when asked 'Do you have enough time to get the job done?'. For the 'Always or most of the time' answer, Denmark's score is lower than the European Union score. For the 'Rarely or never' answer, Denmark's score is higher than the European Union score. For the 'Sometimes' answer, Denmark's score is higher than the European Union score. Data is based on question 61g from the sixth European Working Conditions Survey (2015). The National comparisons visualisation presents a comparative overview for the values of all answers between two selected countries. Skills are the passport to employment; the better skilled an individual, the more employable they are. Good skills also tend to secure better-quality jobs and better earnings. This section briefly summarises the Danish system for ensuring skills and employability and looks into the extent of training. The Danish vocational education and training programmes are alternating or ‘sandwich-type’ programmes, where practical training in a company alternates with teaching at a vocational college. The Ministry of Education has the overall parliamentary, economic and legal responsibility for vocational education and training, which is regulated under the Act on Vocational Education (Consolidation Act No. 439 of 29 April 2013 – Erhvervsuddannelsesloven). Responsibility for the content, length and structure of the individual educations is divided between the Ministry of Education, the Council for Initial Vocational Education and Training, the Vocational Committees of the individual programmes and the institutions for vocational education and training (vocational colleges), which is approved to offer training. The Vocational Committees (faglige udvalg) are bipartite committees with representation of the social partners. The vocational committees decide duration and structure of the training programmes, including the distribution of school and practical training in the different programmes. Provisions about adult and continuing training are mainly laid down in the collective agreements supplemented with legislation on adult vocational training. See above for the regulation on training. In the figure, we see a comparison between Denmark and European Union for the workers with 'Age : All' when asked 'Have you had on-the-job training in the last 12 months?'. For the 'No' answer, Denmark's score is lower than the European Union score. For the 'Yes' answer, Denmark's score is higher than the European Union score. Data is based on question 65c from the sixth "European Working Conditions Survey (2015).The National comparisons visualisation presents a comparative overview for the values of all answers between two selected countries. For Denmark, the European Company Survey 2013 shows that between 2010 and 2013, 59% of establishments with 10 or more employees reported changes in the use of technology, 49% introduced changes in ways to coordinate and allocate the work to workers, and 20% saw changes in their working time arrangements. there is a trend in Danish companies towards involving the employees, in groups or individually, in the work organisation of the company. The rationale behind this is that flexible working conditions and participation have an influence not only on productivity, but also on innovative changes in the work processes and/or products of the company. In the figure, we see a comparison between Denmark and European Union for the workers with 'Age : All' when asked 'Are you able to choose or change your methods of work?'. For the 'No' answer, Denmark's score is lower than the European Union score. For the 'Yes' answer, Denmark's score is higher than the European Union score. Data is based on question 54b from the sixth "European Working Conditions Survey (2015). The National comparisons visualisation presents a comparative overview for the values of all answers between two selected countries. Discrimination at work is regulated by the Act on Prohibition on Discrimination at the Labour Market (Consolidation Act no 1349 of 16 December 2008 – Forskelsbehandlingsloven), which basically follows the European standards. Discrimination is understood under this act as any direct or indirect discrimination based on race, colour, religion or belief, political opinion, sexual orientation, age, disability or national, social or ethnic origin. Cases of discrimination are dealt with by the Committee of Equal Treatment (Ligebehandlingsnævnet) and cases can also be brought in the normal juridical system. The latest figures from Statistics Denmark show that on average men earn 14.5% more than women. The gender pay gap has slightly decreased for the last 10 years, from 15.6% in 2008 to 13.2% in 2016. The main reason for this pay gap is that the Danish labour market is still rather gender-segregated. Formally, the issue of equal pay was introduced in the agreements of 1973. Since then, the agreements have not distinguished between men and women. However, in 2003, DA and LO published a joint report on gender equality in the labour market which was the result of a bipartite investigation into the gender pay gap. In 2014, The Danish National Centre for Social Research published a report on the extent and development of the gender segregation in Danish labour market from 1993 to 2013. According to the Act on a gender based wage statistics, an employer with at least 35 employees must prepare gender-specific wage statistics where a minimum of 10 employees of each gender are employed, measured in accordance with the six-digit DISCO code. 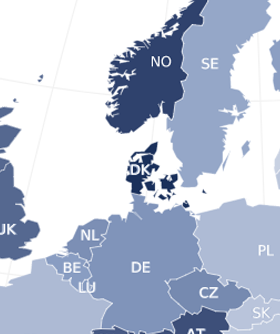 The law has been criticised for its high thresholds which release a large number of companies from the obligation, given that company size in Denmark is generally small. More than 70% of companies have fewer than 35 employees, and of those with more, not all employ at least 10 of each gender. In Denmark, there are no legal obligations for specific quotas for the employment or appointment of people from certain groups in the labour market, including supervisory boards. 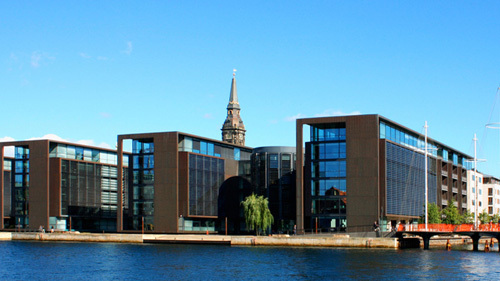 Confederation of Danish Employers (DA) (2014), Arbejdsmarkedsrapport 2014 [Labour market report 2014], DA, Copenhagen. Due, J., Madsen, J.S. and Pihl, M.D. (2010), Udviklingen i den faglige organisering: årsager og konsekvenser for den danske model. LO-dokumentation Nr.1/2010, LO, Copenhagen. Due, J. and Madsen, J.S. (2016), Fra storkonflikt til barselsfond, Djøfs Forlag, Copenhagen. Dansk Industri/CO Industri (2012), Industriens Overenskomst 2012 – 2014 [The Industry Agreement], Copenhagen. Dansk Industri/CO Industri (2014), Industriens Overenskomst 2014–2017 [The Industry Agreement], Copenhagen. Jensen, C.S. (2007), Arbejdmarkedsrelationer i Danmark, Djøfs Forlag, Copenhagen. Kristiansen, J. (2008), Den kollektive arbejdsret, 2. udgave, Djøfs Forlag, Copenhagen. Larsen, T.P, Navrbjerg, S.E., Møller Johansen, M. (2010),Tillidsrepræsentanten og arbejdspladsen. Tillidsrepræsentantundersøgelsen 2010 [A survey of the role of the shop steward in the companies made 2010 – a similar survey was made in 1998], LO, Copenhagen. Mailand, M. (2008), Regulering af arbejde og velfærd – mod nye arbejdsdelinger mellem staten og arbejdsmarkedets parter, Djøfs Forlag, Copenhagen. Scheuer, S. (1999), ‘The impact of collective agreements on working time in Denmark’, British Journal of Industrial Relations, Vol. 37, No. 3, pp. 465–481.